In Singapore, you’d be hard-pressed to find any sort of salad for less than $5 these days. Somehow, healthy food always comes with a hefty price tag, making it difficult to commit long-term to eating healthily. If I can get a plate of chicken rice for just $3 at a kopitiam, it just doesn’t seem very wallet-friendly to buy $10 salads on a regular basis. 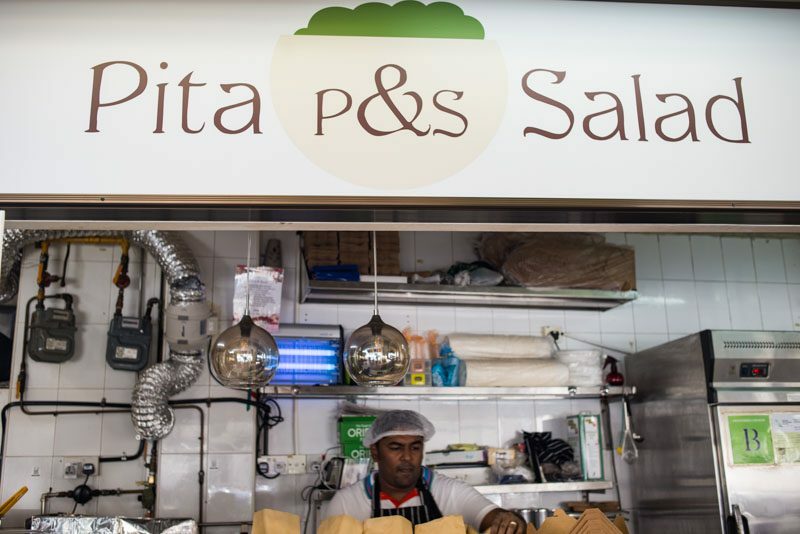 But thanks to Pita&Salad, this dilemma of health versus affordability can finally cease to exist. 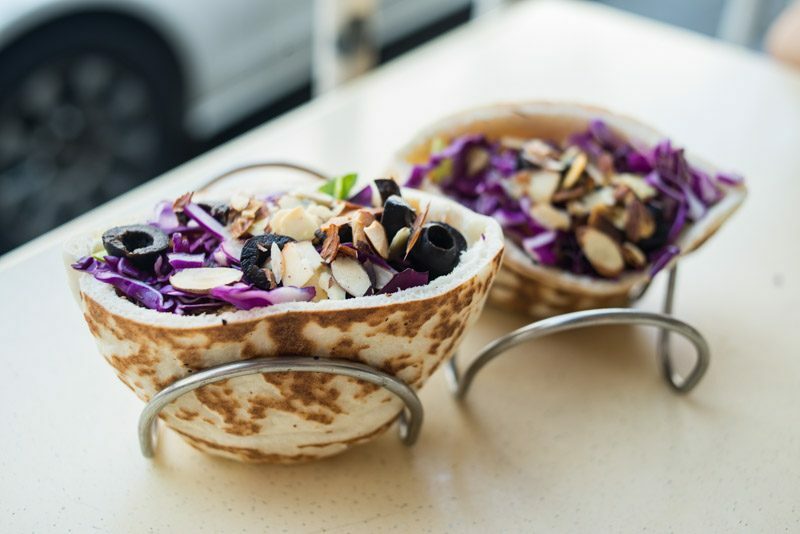 Pita&Salad is a newly-opened kopitiam stall along Neil Road that has managed to combine healthy food with wallet-friendly prices; salads and pita breads on the menu start from only $3! While the menu isn’t exactly extensive, it does allow much room for customisation. The Salad ($3) comes with a base of romaine lettuce, purple cabbage, and toasted almonds. 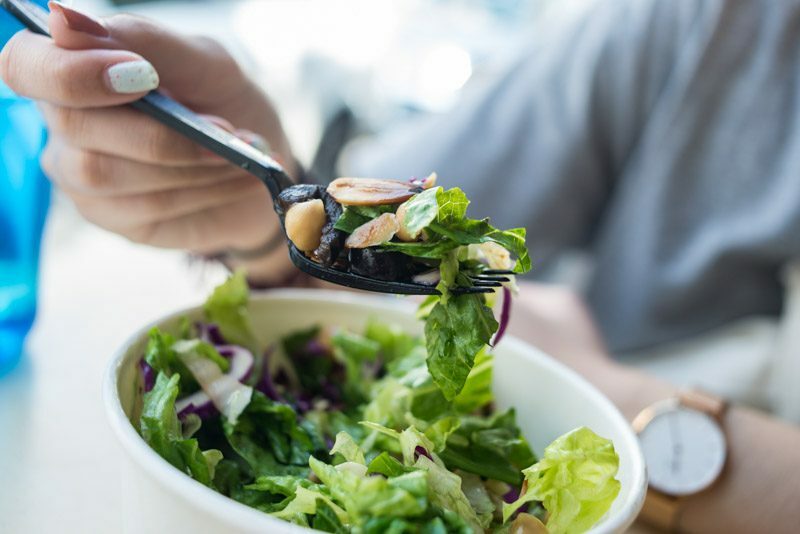 If that sounds a little plain, you can get two salad add-ons (such as beetroot, croutons and kidney beans) for $1, or one premium topping (such as avacado or boiled egg), or one ‘drizzle’ (options include roasted sesame and balsamic). 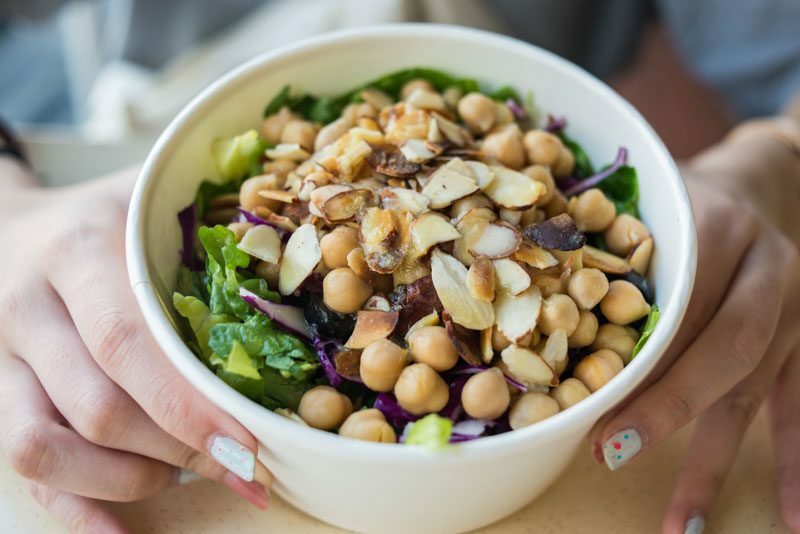 I had the salad with chickpeas, with a homemade dressing named French Drizzle (the default). Its base is orange juice, and it’s mixed with a few secret ingredients. The salad portion was rather generous, especially for its price! You could tell that the ingredients used were of good quality, since the greens (and purples) were all fresh and crunchy. The chickpeas were soft and added a nutty flavour to the dish. 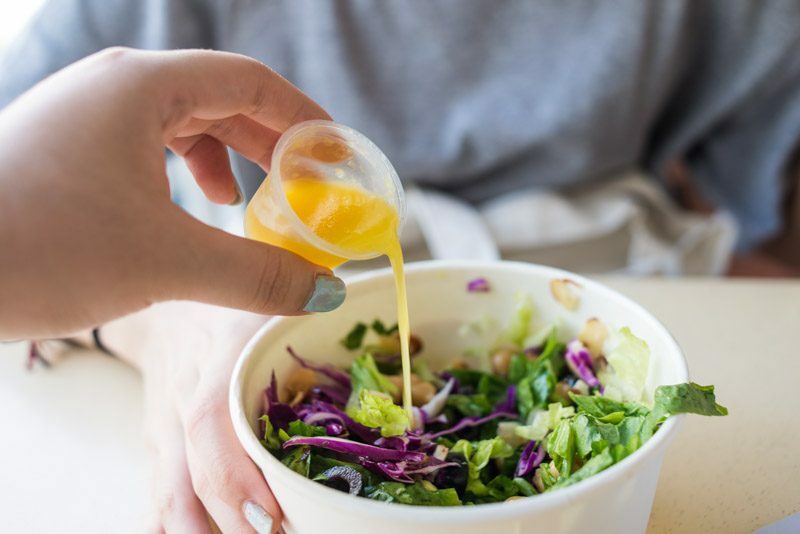 I loved the dressing, as it was sweet yet tart at the same time. I’m not the biggest fan of salad, so I was definitely looking forward to trying out the pita breads a lot more. And I’m glad to say I wasn’t disappointed at all. I had the Chicken Pita ($3 for one, $5 for two), which comes with grilled chicken nestled in their standard salad base. It’s also served with their signature dressing, the French Drizzle. I hate when chicken is advertised as grilled, but turns out dry, hard and bland. So I was thrilled to find that Pita&Salad’s chicken had a wonderful char on the outside, and was extremely well-marinated. 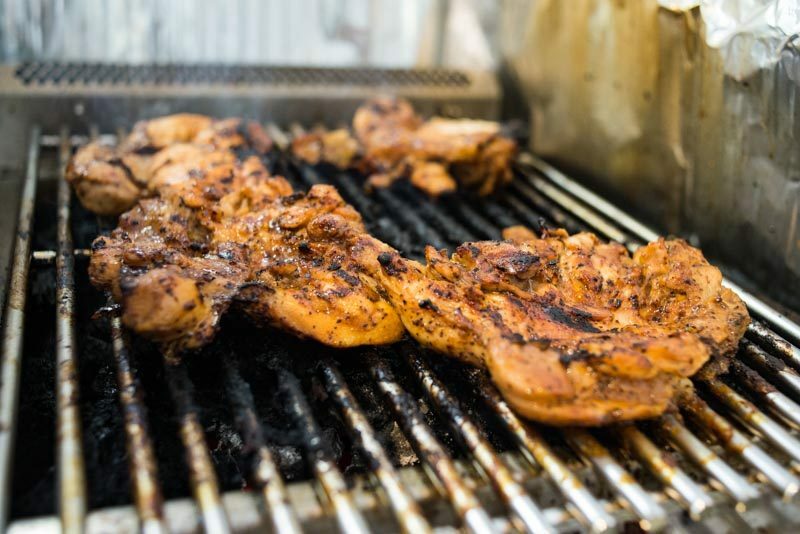 The preparation involves marinating the chicken with black pepper, then grilling it with lavarock. This gave the chicken a delicious smoky flavour that kept me wanting more. My only gripe with the chicken was that it could have been a little more juicy and tender. As for the pita, it was light, airy and fluffy. It served as the perfect base to the chicken and greens, as it also added a touch of flavour to the dish. I also tried the Vegan Pita ($3) which comes with chickpeas instead of chicken. The filling was basically the same as the salad, so it wasn’t quite as flavourful as the chicken. Yet, I think it was also unique in its own way, since the filling wasn’t as flavourful, the pita really became the star of the show. The greens acted as complements to the toasty pita, which was also enjoyable. I also got a taste of their homemade salsa. At the time of my visit, it wasn’t yet available for sale, but once it is, you’ll definitely want to give it a try. The salsa had a fiery kick to it, a little bit of sweetness from the tomatoes, and a nice sharp tang from the onions. It was extremely appetising to taste, and though I don’t usually like salsa, I truly loved this. 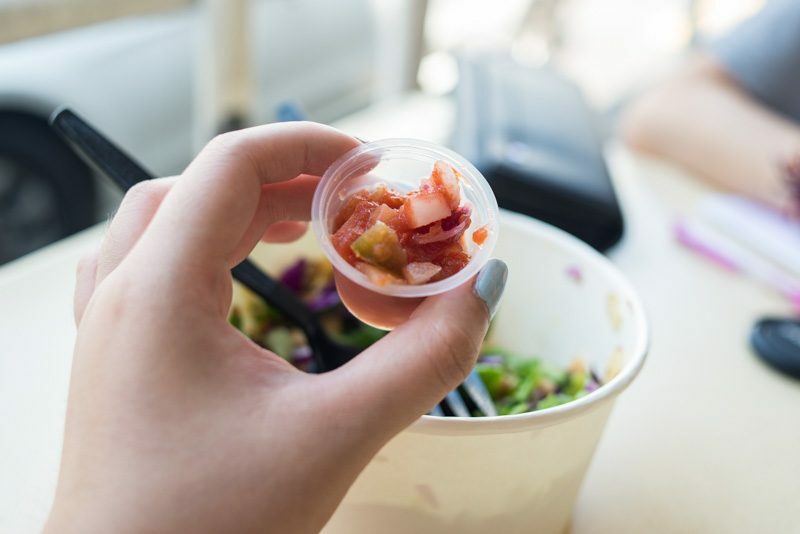 It will be available as a condiment, or you can also buy it with croutons that are made from pita. 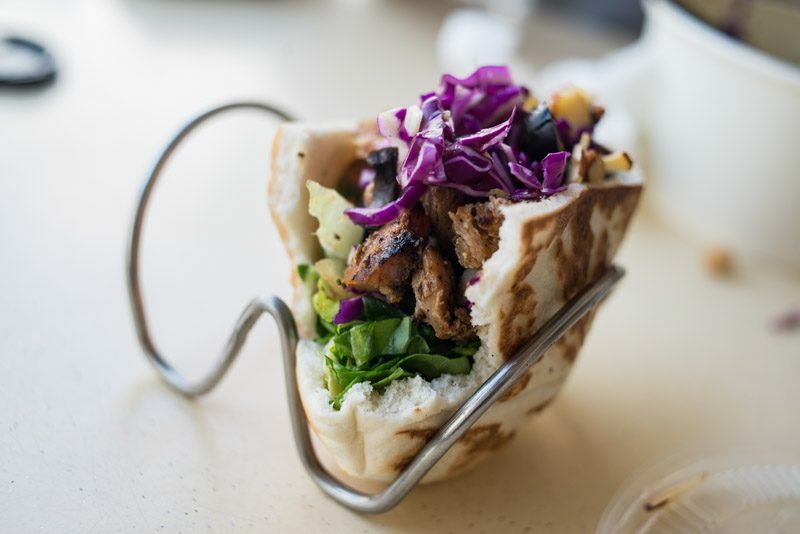 Overall, I definitely enjoyed my experience at Pita&Salad. 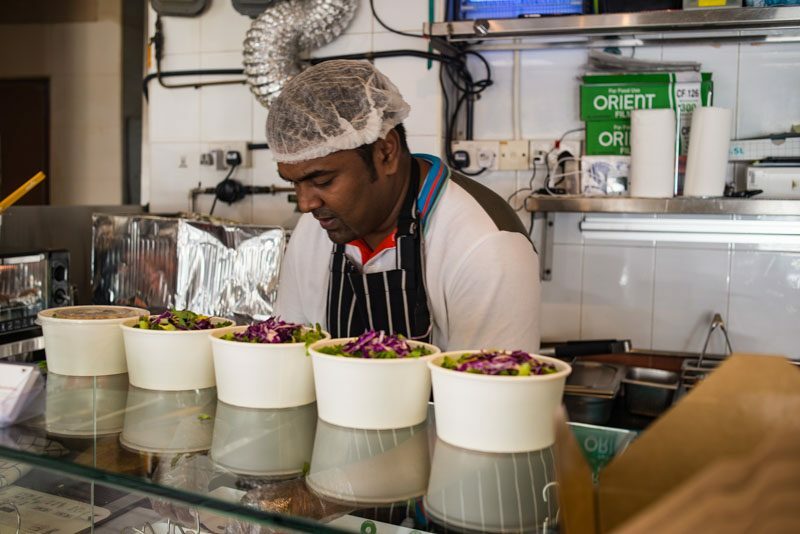 It sells fresh, delicious and entirely affordable food that will not add to your calorie count. Something else that I think is highly appealing about this kopitiam stall is the fact that it’s customisable, so there are a lot of vegan-friendly options. I know it’s rather difficult to find vegan food in Singapore at affordable prices, so this is truly a hidden gem. 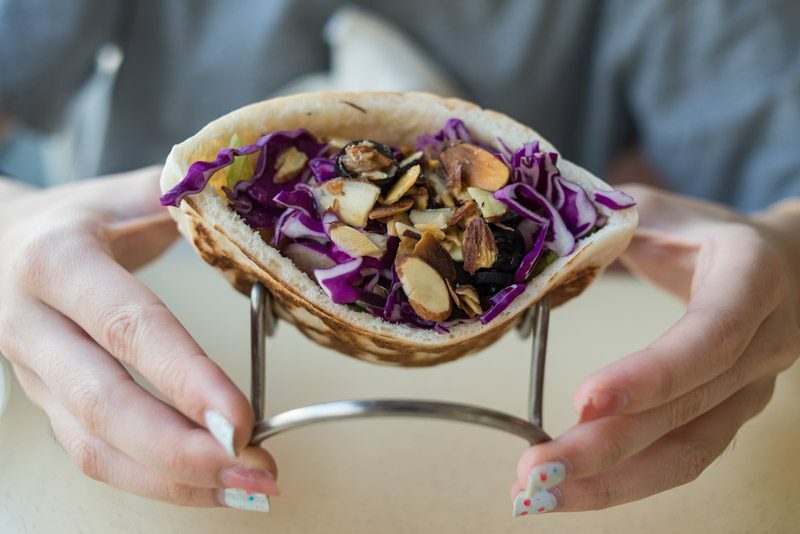 To all the naysayers who think healthy food can’t be affordable, Pita&Salad is here to prove you wrong. And though it’s still in the process of fine-tuning its menu, it’s definitely worth a visit if you’re in the area.